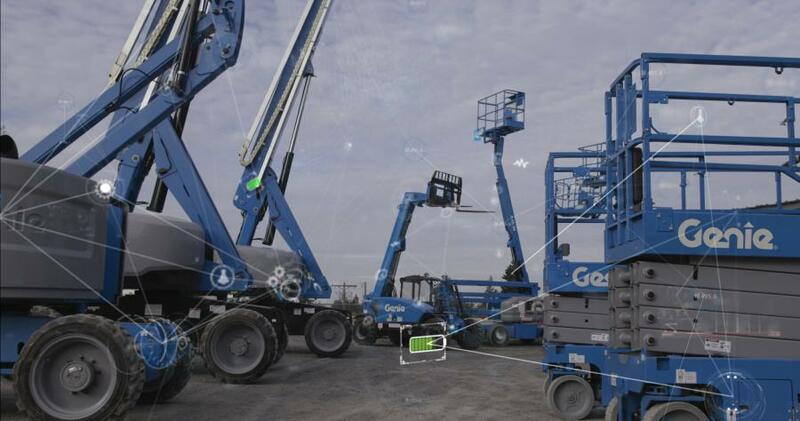 Developed in direct response to rental customers' unique business needs, the Genie Lift Connect program is a telematics offering focused on actionable information, flexibility and transparency. No matter what size of aerial equipment fleet — from 10 to 10,000 machines — equipment management is something that rental stores do every day. From knowing how equipment is performing or how often a piece is being utilized to where each unit is or when it is ready for maintenance, machine data can provide a lot of insight to rental businesses. Genie Lift Connect solutions will be available in North America in early 2019, in EMEAR (Europe, Middle East, Africa and Russia) by mid-2019 and globally in 2019-2020. "The world is changing," said Christine Zeznick, Genie senior product and business development manager, business development, Terex AWP. "Our customers are operating their businesses faster and more efficiently than ever before, constantly looking for ways to add value and drive business growth. One technology that is opening up new opportunities for rental businesses is the use of telematics. "Genie started its telematics journey in 2015 with the launch of the telematics-ready connector," said Zeznick. "This was in direct response to the mixed fleet nature of the rental industry and allowed our customers access to a few key data points with a plug-and-play solution of their choosing. Although many have appreciated this flexible approach, over time our customers have requested access to more data and information. Today's Genie Lift Connect telematics technology has evolved to help rental stores understand the information their machines are providing, enabling them to manage their businesses more efficiently." "At Genie, we believe partnering with you and your rental business is important. This is why we developed a new telematics solution that focuses on sharing more machine data. We believe that the more partners in the value chain with access to the machine data, the more efficient the rental industry becomes," said Zeznick. "We've designed the new Genie Lift Connect solution to share more information than other offerings available in the industry. This is truly an evolution in Genie's telematics journey." According to Zeznick, as time goes on, the data from the Genie Lift Connect offering will become more and more powerful. Initially, this information will be "descriptive," focusing on what's currently happening with a machine including how many hours are on a machine, where the machine physically is and if there are any fault codes on it. Over time, Genie Lift Connect data can be leveraged on a larger scale and used for "predictive" and "prescriptive" activities, such as predicting failures in the field based on how the equipment is actually being used and proactively prescribing maintenance and service. "The opportunities for using the data from the new Genie Lift Connect program to monitor and manage aerial fleets are limitless," said Zeznick.